20 years on from Highlander’s release the star looks back. 1986 was a fantastic year for movies. Ferris Bueller enjoyed a day off like no other, Tom Cruise proved he was a Top Gun and Sigourney Weaver encountered even more Aliens. But in amongst the blockbusters and Oscar-worthy epics, there was a film like no other, telling the story of a bunch of ages-old immortal warriors with nasty a habit for cutting each other’s heads off. 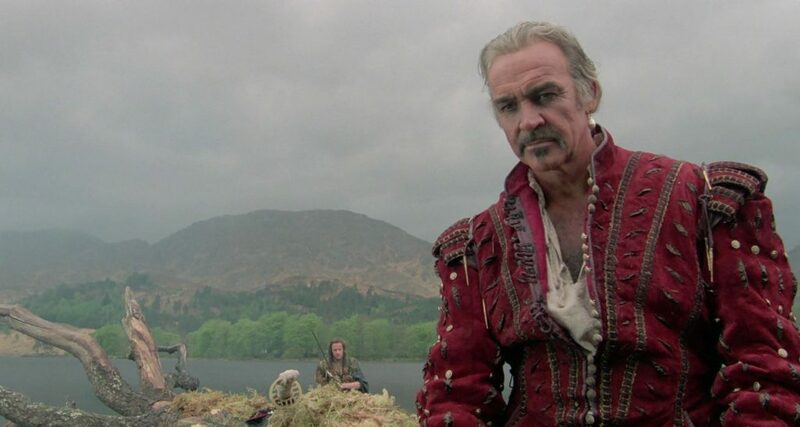 Highlander may not have been a smash hit on its initial release, but in the years that followed it gained a cult following, helped in no small part by a killer Queen soundtrack and the performances of up-and-comer Christopher Lambert and a certain Sean Connery. 30 years on and with six films, two television shows, an animated series, a comic book and even computer game under their belts, it’s fair to say any sci-fi or fantasy fan worth their salt knows the name of Connor MacLeod. To mark the release of a new 4K-restored version of the Russ Mulcahy original, loaded sat down with Lambert to talk about the film. loaded: What first attracted you to Highlander? Lambert: I had just completed my first English-language movie, Greystoke: The Legend of Tarzan, Lord of the Apes, when the producers called me and sent me the script. What attracted me to the story was not so much the action but the concept of immortality. What would you do if you were immortal? How would you cope with it? How would you keep on living with it? How would you cope with the pain of losing your loved ones over ten lifetimes? This was also the 1980s where, like today, people were obsessed with the idea of looking as young as possible. There was always some cream that claimed to make you look younger or some plastic surgeon promising to give you a whole new face. There was also this strong fantasy element that attracted me to the project and the action scenes. loaded: What was it like to work with Sean Connery? Lambert: Sean became involved after I was cast which was very exciting. He’s great. A simple guy yet someone who was also a big star. He was just a normal person, fun to be with. Anything but pretentious. loaded: Did you find it difficult to master the Scottish accent? Lambert: Well, I trained with an accent coach for 16 weeks and then found out I was facing Sean Connery, a Scotsman. But I never worried during filming because I knew he was a decent person and would help me. Sean had this way, very discreetly, of correcting my Scottish accent without anyone else knowing. Well, sometimes at least. It was like a father teaching his son. 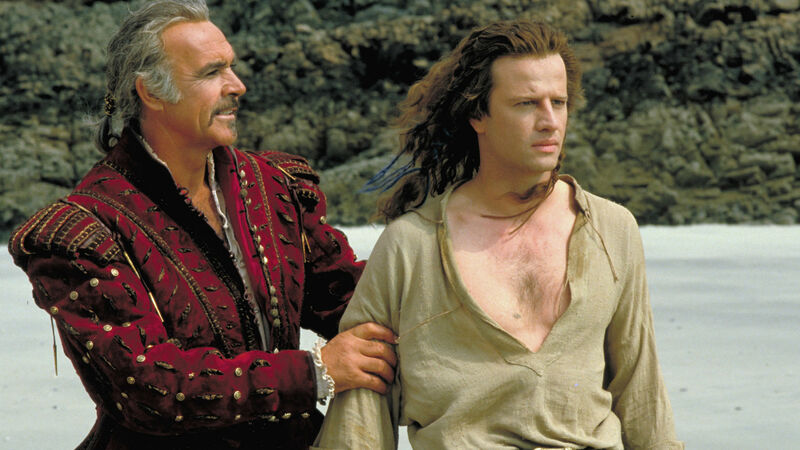 loaded: How did you get into the character of Connor MacLeod? Lambert: Look, everybody has their own way of doing things. Some actors need to concentrate and stay in character between takes. Between action and cut I would become that character, but outside of that I was me. Sean was very intense, but he was more like himself on set than say Nicolas Cage (Lambert worked with him on Ghost Rider). Nic, depending on the scene, would pull his chair away and concentrate to put himself into character. It was clear he was getting into character – he didn’t need to tell people to stay away or anything like that. I met actors on some movies who weren’t’ talking to me because they were going to kill me at the end of a movie though – everybody has their own way of doing things. loaded: The Queen soundtrack is pretty iconic – did you have many dealings with the band? Lambert: We did two video clips with Queen on a private set just 12 people. I had to interact with Freddie a lot in these. He was great. He loved performing. But he was a private person. You couldn’t invade his privacy. Not because he was a rock star, but just because he wanted to be at peace. But if he trusted you, he would invite you to his trailer. We spent a few hours together and it was fun. We talked, had a few drinks and laughed. It was the same with Sean. He was an extremely normal human being. But don’t try and enter the circle if you are not invited. If he invites you, it is because he sees you on the same level. You have to be on the same level to talk and understand the same things. loaded: Would you love to see Sean Connery do another film? Lambert: I would love to see Sean back in a movie but at some point we all have to make the decision to enjoy your life and your money and do something else. It’s about enjoying different things and I completely respect that too. 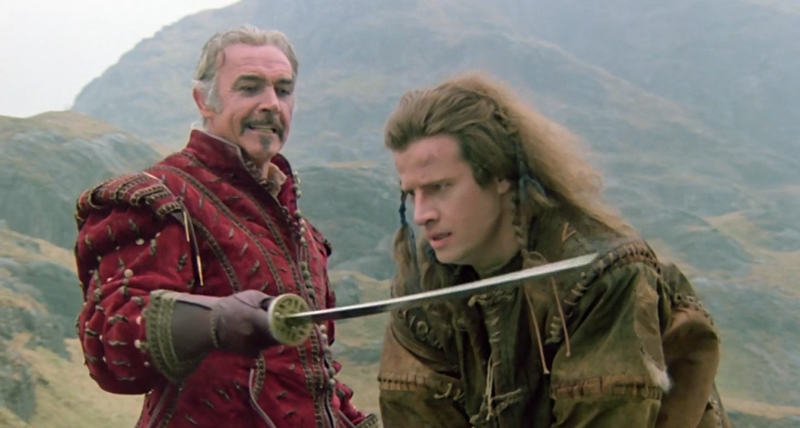 loaded: Highlander feels like it is ripe for a remake, who would you like to see play MacLeod? Lambert: Listen, Highlander is still an active, cult movie, that 12-year-olds still come up to me about and tell me it’s the greatest movie they have ever seen. If they went for a remake, I would stay away as far as I could from the first one. It would be a good idea to do something about immortals but I wouldn’t try to mimic Highlander. Firstly, where are you going to find Queen today? They were such an amazing and unique rock band. And the whole story itself was never touched because it was a unique and original story. I don’t think the producers would want to do a remake – maybe another sequel though. loaded: So no idea who could be the next Connor MacLeod? Lambert: Though I would never have the pretension to think my view on the subject mattered, I think it would only work if they picked somebody fresh and new. I may have been Greystoke back then, but I wasn’t exactly Tom Cruise. That’s the only way it could really work. loaded: You can see the influence of Highlander on things like Game of Thrones – would you ever be tempted to guest star on that? Lambert: Well, I hope it was influential and Game of Thrones is a great show. I would certainly love to play a villain. I don’t play a lot of bad guys. That would be fun. Finally, are there any plans for you to do another Highlander film? Well, I’ve done four of them and my character is [SPOILER ALERT] basically gone but, like Sean Connery said, never say never. 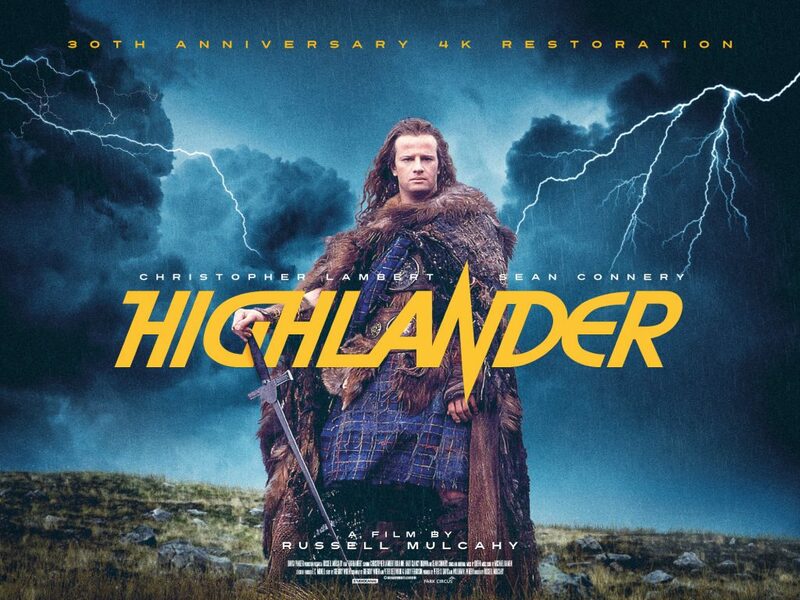 The 4k restored version of Highlander is available to download now available on DVD and Blu-Ray now.